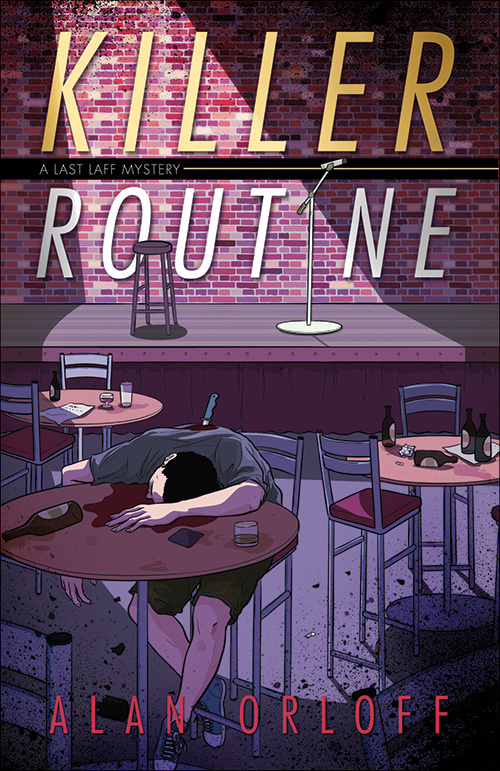 Alan Orloff's upcoming release, KILLER ROUTINE, is the first book in the Last Laff Mystery series (April 2011, Midnight Ink). He's also the author of DIAMONDS FOR THE DEAD, which came out last April, also from Midnight Ink. DIAMONDS FOR THE DEAD has been nominated for an Agatha Award for Best First Novel. 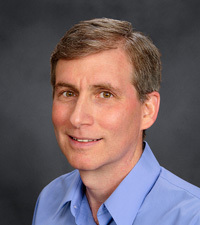 I remember being fascinated by all the experiments we learned about: salivating dogs (Pavlov), blind authority-followers (Milgram), changing conditions (Hawthorne effect), and deviant behavior (Pee Wee Herman). It wasn’t so much the conclusions I liked. The best part for me, I think, was the deception involved in the studies. The researchers told the subjects one thing, and measured something entirely different. Deception in the name of science—how sneaky! And how cool! I’ve always been a fan of “good-natured” deception (I know, the people in the Milgram experiment probably weren’t having much fun). That’s one reason I loved Candid Camera so much. Where else could you see people being deceived and then watch them laugh about it? It’s likely that my love of deception was a prime reason I found myself writing mysteries. I mean, where else is deceiving people one of the goals? Red herrings, buried secrets, double-crosses, evil twins—it’s not just fair game, it’s expected! In mysteries, a cigar is rarely just a cigar. Thanks for inviting me to your wonderful blog today, Kaye. I hope you are enjoying your retirement! Kaye, thanks for hosting Alan. Alan, you make a good point - deception and mysteries do go hand and hand. I can see where an episode of Candid Camera could be turned into a mystery. Wish I could have been there to see your friends' faces when your wife turned you down! Alan - No doubt about it; deception is an important part of a good mystery. 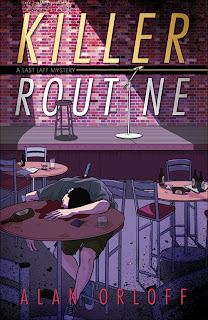 When they're done right, that's part of the enjoyment we get out of reading crime fiction. My then-fiancé (now husband) and I conspired to pull a bit of deception once, too, on a life insurance agent who was getting on our last nerve and would not leave us alone. Each of us pretended that the other was the one who would have to make the decision, so we had him going back and forth until he got so frustrated with us he finally left us in peace. And hey, I love that 'photo! Mason - The title can be "SMILE! You're Dead"
Elizabeth - Those psych students are devious, indeed. Margot - I am so going to use that strategy sometime! Congratulations on your nomination, Alan. Hi, Everyone! Thanks for stopping by. Alan - this was terrific, thank you!! (and I had to laugh at Jenny's remark about your favorite pet being such a good liar. True enough! But what a GREAT picture). And congratulations on your nomination - Yay, You!!!! Jenny - Thanks! My cat was an instigator too! Lying and instigating, the perfect combo.